Although difficult, complicated, and sometimes discouraging, collaboration is recognized as a viable approach for addressing uncertain, complex and wicked problems. Collaborations can attract resources, increase efficiency, and facilitate visions of mutual benefit that can ignite common desires of partners to work across and within sectors. An important question remains: How to enable successful collaboration? Inter-Organizational Collaboration by Design examines how these types of collaborations can overcome barriers to innovate and rejuvenate communities outlining the factors and antecedents that influence successful collaboration. 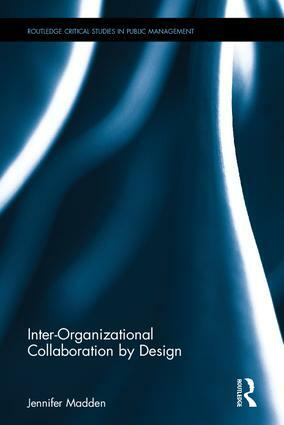 The book proposes a theoretical perspective for collaborators to adopt design science (a solution finding approach utilizing end-user-centered research, prototyping, and collective creativity to strengthen individuals, teams, and organizations), the language of designers, and a design attitude as an empirically informed pathway for better managing the complexities inherent in collaboration. Through an integrated framework, evidence-based tools and strategies for building successful collaboration is articulated where successful collaboration performance facilitates innovation and rejuvenation. This volume will be essential reading for academics, researchers, leaders and managers in nonprofit, private, and government sectors interested in building better collaborations.